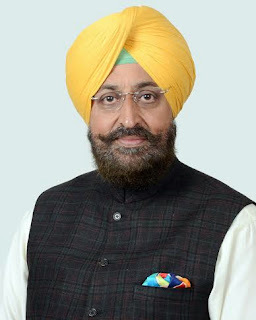 Chandigarh: The Punjab Pradesh Congress Committee President, Mr. Partap Singh Bajwa, today said it was ironic that Mr. Narendra Modi, in his very first decision on the day of his swearing in, had gone against his own principle of opposition to dynastic politics, the core of his election campaign, by inducting Mrs. Harsimrat Kaur Badal from the Akali Dal in his cabinet. In a statement issued here today, Mr. Bajwa said Mrs. Badal was the wife of the Punjab Deputy Chief Minister, Mr. Sukhbir Singh Badal, who happened to be the only son of the Chief Minister, Mr. Parkash Singh Badal. The Food and Supplies Minister in the state, Mr. Adesh Partap Singh Kairon, was the son-in-law of the Chief Minister. The controversial Revenue Minister, Mr. Bikram Singh Majithia, whose name had surfaced in the drug smuggling racket, was the brother of Mrs. Harsimrat Badal. He said thus all members of the immediate and extended Badal family were in the government. He said there was no other such example of the promotion of dynasty in the country and this happened to be another ‘distinction’ achieved by Punjab under the leadership of Mr. Badal. He said in the process senior leaders like Mr. Ranjit Singh Brahmpura, Mr Sukhdev Singh Dhindsa and Mr. Balwinder Singh Bhunder had been ignored. Mr. Bajwa made it clear that he was not against representation having been given to Punjab in the Modi cabinet per se but Mr. Modi needed to explain did it not amount to promoting dynastic politics. He said all through his campaign, he had been targeting the Congress President, Mrs. Sonia Gandhi and the vice-president, Mr. Rahul Gandhi by describing the UPA government as ‘Maa-Bete Ki Sarkar’. He had been attacking Mr. Gandhi as ‘Shehzada’. However, his very first decision of cabinet formation had exposed Mr. Modi as the leader who misled the people by targeting the Gandhi family for promoting dynasty while he himself had done the same. He did not find anybody else suitable for the cabinet job except the wife of the ‘Shahzada’ from Punjab. He pointed out it was Mrs. Gandhi who had sacrificed the office of the Prime Minister in favour of Dr. Manmohan Singh in 2004 and Mr. Rahul Gandhi never preferred a government office. Still, Mr. Modi carried on a relentless campaign against them. However, this decision had exposed his politics of opportunism and expediency. “From his very first action, it is clear that Mr. Modi does not care for the values which he himself espoused during the election campaign. For him, it was just part of the strategy to win elections. He needs to explain this to the people as to how the induction of Mrs. Harsimrat Kaur Badal is justified in the context of his opposition to the dynastic politics”, he added. He called upon the Akali workers to rise against such high handedness of the Badal family and listen to the voice of their conscience as this second oldest political party in the country at one time was known for democratic ethos which has been killed by the Badal family by promoting nepotism only. Welcoming the first interaction between the Prime Minister, Mr. Narendra Modi and his Pakistani counterpart, Mr. Nawaz Sharif, the Punjab Pradesh Congress Committee President, Mr. Partap Singh Bajwa, called for prioritising the facilitation of free trade between the two countries via land route. In a statement issued here today, he said this issue had been on the agenda of the UPA government but as and when the situation appeared to be getting normalised for such crucial decision, certain forces opposed to it became active which would push the initiative backward. He said the shift in the stand of Mr. Modi from his chicken-biryani speeches towards better relations with Pakistan had raised the hopes in this border state whose economy would get the much needed boost from free trade with Pakistan. He said this would further pave the way for direct access to the Central Asian markets.